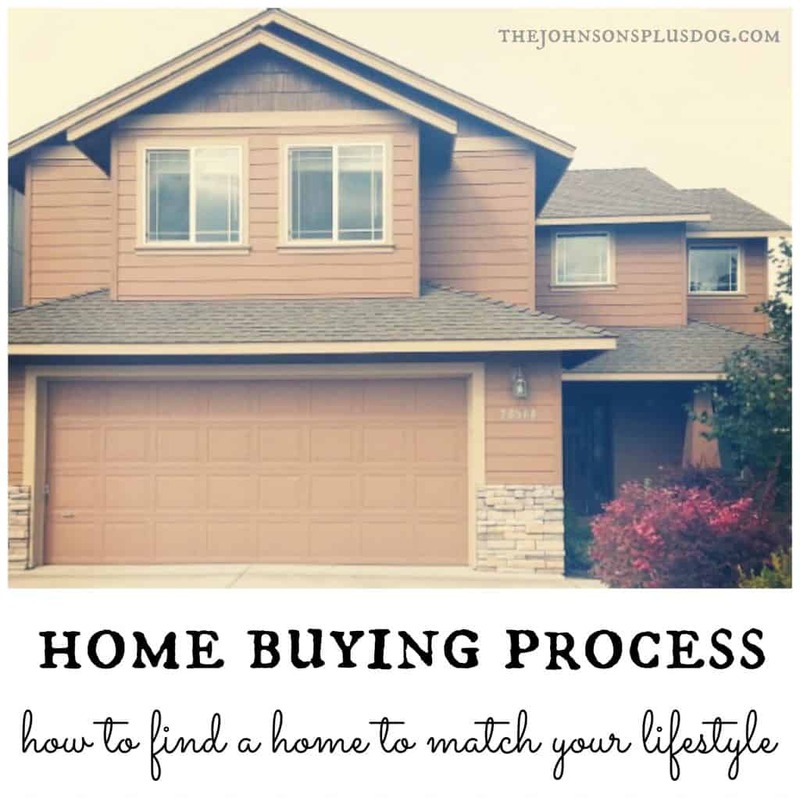 I’ve been posting all about the home buying process lately as we revealed our new home to you. Tonight, Logan and I were reflecting more about the home buying process and remembered how much thought went into deciding what type of home we wanted to buy. When we were home shopping, we realized how important it was to find a home that matches your lifestyle (or at least the lifestyle we want to create). The truth is that everyone is so different and has vastly different priorities and dreams. These priorities and dreams definitely come into play when you are home shopping. We believe that there is a home out there for everyone! It’s so important to find a home to match your lifestyle. 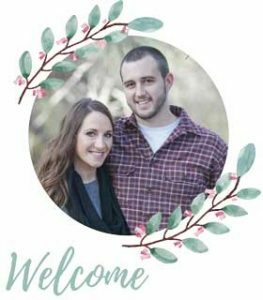 When we first started “shopping” through the automatic emails that our Realtor set us up with, we were seeing TONS of homes. I mean hundred of homes that matched our very broad criteria. One way that helped us narrow the search was to get rid of every thing with a small lot. One thing that was motivating us into buying a house (read more about our decision to buy a house here) was wanting more outdoor space. If you haven’t noticed, we love our dog. And we love being outside. Working from home, I can get a little stir crazy from time to time and I need to place to get some fresh air. The outdoor space is a priority for us. Before we found the house we ended up buying, we were looking at some land that was pretty far out-of-town (about 15 minutes or so) on about 4 acres. The home on site was a mobile home and the lot had a few other structures (storage and garage/workshop). Logan fell in love with the land when we went to tour. I was less than thrilled about the mobile home (although – have you guys SEEN the things people do in manufactured homes nowadays??). But the plan was going to be to live in the mobile while we saved up and slowly built a house on the lot. We ended up not being able to get it because we couldn’t get a loan on the mobile home structure due to its age and some lending regulations. Long story short – we were serious about that dream for lots of land. You should determine early on in the home buying process how much land/yard you want. Don’t forget that having a big yard can come along with a lot of maintenance, landscaping, etc. Keep that in mind. Are you willing to commit the time and energy into maintaining a large yard? If not, do you have room in your budget to assume you’ll hire a landscaper on a regular basis? If you love the outdoors but end up getting a house with a smaller yard, make sure you have parks and outdoor space nearby so you get your fill of the great outdoors! Ok, true story…. when we were looking for houses we could have purchased a brand new home for about the same price as we paid for ours. I’m not joking. Homes are going up around Bend like crazy right now. It was so tempting when you find a home that looked like this. New Homes = smaller yards, smaller lots and closer together. Older Homes = larger, expansive lots. Due to zoning regulations and the cost to build homes (among other reasons), developers are now putting homes closer together. The rural, small town girl in me cringes when I see new master-planned communities, but the commercial real estate coordinator in me loves the density, amenity-rich new neighborhoods (the small town girls usually wins that battle). I can’t tell you how many homes Logan turned down that I showed him with the simple answer: “it’s already done”. What can I say? He is used to fixing problems – that’s his day job (managing home maintenance/renovations). All that to say, we were dead set on looking for a fixer upper that needed renovating. New Homes = new finishes, less yard to maintain and less chance for repairs. Older Homes = yard too hard to maintain and too many repairs needed. While we’re on that “too many repairs” topic, we’re going to sharing about what to look for in a house to avoid pitfalls soon, so stay tuned folks! So, you’re on a budget and you’re starting to look at homes and everything you see needs work but you have no desire or interest in renovating WHAT SO EVER? I have friends and family that have mentioned that they don’t envy Logan or I at all right now. Some people have no desire to embark on a renovating journey. There is hope for you! When we first toured our home, we took one look at the roof and knew it needed to be replaced soon. On top of all of the other renovations we had planned, we knew this was something we didn’t want to plan for. When we wrote our offer, we requested that the Seller replace the roof. They agreed. Simple as that. I’m not saying that every repair you request will be granted, that’s not the case. Some homes are offered as-is. Sometimes the market is so hot that sellers don’t need to accommodate tons of repair requests. But if there are a handful of reasonable items, it doesn’t hurt to ask! Don’t shy away from that house if it has everything else you need. So, the Seller says no? The home buying process is all about negotiation and compromise. Figure out how much it would cost you to hire it out and think about it in terms repairs relative to your home value. If it is going to cost you $2,500 to repair/replace something and your home is worth $250,000 – that is only 1% of your home value. You totally need to plan for that cost and may be save up for it. But, don’t be scared to buy a house that needs some manageable repairs. As you begin the home buying process and start shopping, don’t lose sight of what you want in a house. It can be easy to get distracted, especially when you start touring pretty homes. Always be sure to refer back to your hit list and assess your priorities. It is so crucial to find a home to match your lifestyle or the lifestyle that you want to create. 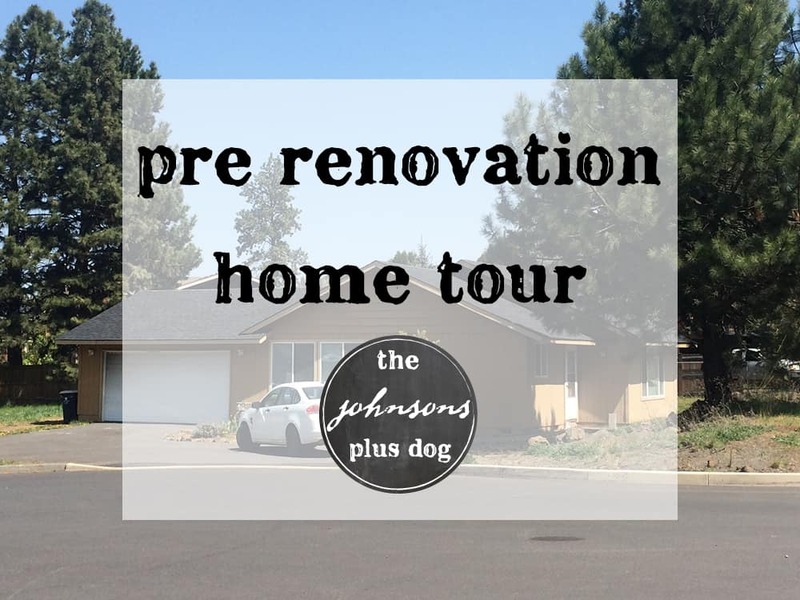 If you’re interested the idea of some renovating, maybe you can follow along on one of the tutorials we have coming up during our home renovation and we can learn together! I can’t wait to see your renovation posts! We recently did the same thing (though we hired others to do the actual renovations) and it was more fun than I expected! Thanks so much for linking up with Share The Wealth Sunday! What a very informative post. You really researched the topic and I enjoyed reading it. Thanks Enzie! 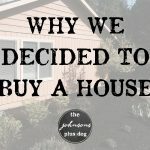 So much thought went into buying our first home :)! We didn’t want a new home either, for much the same reasons you outlined. I wanted trees bigger around than my arms. Plus new homes can have issues too. We actually ended up with a newer home because we fell in love with the neighborhood. You give great advice, and sometimes you need to explore a little to know what you want and need. Good points. We are in the process of selling a home and are running into the same thing from another angle – what we thought was great about our house isn’t necessarily a selling point for everyone. Such great tips when looking for and buying a home. Sounds like you guys did your research and really figured out what would work best. It’s great to be co-hosting #HomeMattersParty with you this month! These are such great points. And what is perfect for some people just isn’t what someone else is wanting. We just sold a house that was built in the 1950s on a very busy, noisy street but with a huge backyard and bought a newer place (1980s) in a quiet neighborhood with only a tiny side yard. But it’s perfect for us! The new home only needs cosmetic upgrades and we never did a thing with our huge yard when we had one. 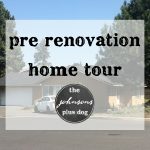 I can’t wait to see your renovation posts when you get to them! Thanks Allie. That’s good that you know that you may be shopping for a house next year. Think about all the planning you can do to prepare yourself. 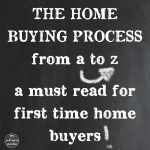 I have a home buying board on my Pinterest that you should check out for more tips! Thanks for stopping by at the #HomeMattersParty – looking forward to cohosting with you too! Great tips !! As of now we are renting, but there are chances to buy a new house. I will sure refer back to your posts 🙂 It’s great to be co-hosting #HomeMattersParty with you. I know what you mean about space. I wish we have the house we live in now on the land where we used to live. Thanks for being such a great cohost on #HomeMattersParty. I can’t believe that your husband wants to look for a house that needs renovating…on purpose. LOL! I think it is fantastic and it really helps the poor homeowner who is trying to sell a house that needs renovating. Our houses always seem to need renovating but the house we have lived in for almost 20 years is still needing some. It was built in 1891 so it will never be done. Maybe if your hubby gets bored he could visit us for a while. Ha! This is a great post! Thanks.